Melanie received her Mat and Reformer Pilates Teaching Certification through Body Harmonics in Toronto, ON. 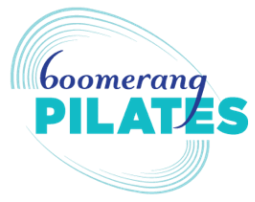 She continues to study and broaden her movement knowledge as well as taking classes here at Boomerang Pilates and various studios around southern Ontario. Melanie enjoys designing Private, Semi-Private and Group classes. She has experience with people of all ages and abilities and loves incorporating props (foam roller, Theraband, Sit Fit, swivel disks, etc.) into her sessions to help promote strength, flexibility, and larger range of motion. ​She is a graduate of Sheridan College’s Musical Theatre program and has been working in the Arts field for nearly two decades as a professional actor, Arts Educator, choreographer and Kids Yoga Teacher.